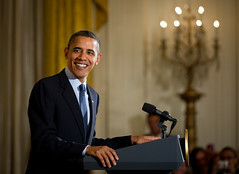 The Obama administration is ramping up talks on how to revive the housing market, which is weighing on the economic recovery–and possibly the president’s re-election in 2012. Last year, advisers considered several housing-policy prescriptions but rejected them in favor of letting the market sort things out. Since then, weak demand and a stream of foreclosed properties have put renewed pressure on home prices, prompting concern within the White House. Policy ideas include having taxpayer-owned mortgage giants Fannie Mae and Freddie Mac relax their rules for loans to investors, allowing those buyers to vacuum up excess housing inventory. In certain markets, Fannie and Freddie could hold some foreclosed homes off the market and rent them out to ease the property glut. Officials also could sweeten incentives for banks to reduce loan balances for borrowers who are underwater, or owe more than their homes are worth. Discussions are in early stages, and there isn’t consensus around particular ideas. A spokeswoman said the president and his advisers “are always looking at new ways” to strengthen the housing market but wouldn’t disclose details. “While we continue to consider the options available to us, it would be inaccurate to say we are proposing any of these particular ideas at this time,” White House spokeswoman Amy Brundage said. Home-buyer tax credits worth up to $8,000 in 2009 and 2010 gave a short-term boost to home sales, but demand plunged after they expired. Foreclosures have put pressure on prices and damped residential construction, traditionally an engine of job growth during economic expansions. “As conditions change, some options that were below the line the way the market was 18 months ago might be above the line today,” said Peter P. Swire, who teaches law at Ohio State University and until last year was a top housing adviser to the White House. President Obama’s signature loan-modification program, announced during his first month in office, has lowered payments for around 600,000 borrowers. Meanwhile, around four million borrowers are in foreclosure or have missed three or more consecutive mortgage payments. While mortgage-delinquency rates have fallen, millions more remain at risk of defaulting if they experience a payment shock because they owe more than their homes are worth. More recent housing relief has targeted unemployed borrowers. Last week, officials said unemployed borrowers with loans backed by the Federal Housing Administration could miss up to 12 months of payments while they look for new jobs. A separate $1 billion program is set to begin providing interest-free loans of up to $50,000 for temporarily jobless borrowers this month.